Maybe you wonâ€™t fly, but youâ€™ll come close in this 1992 Chevrolet Corvette. The â€™92 falls into the C4 (4th generation) of Vettes, and represents a complete clean break from the Zora Arkus-Duntov-designed C3, with a completely new chassis and sleeker, more modern but still evolutionary styling. 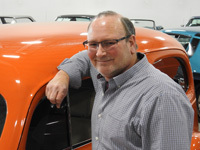 It was the work of a team under chief Corvette designer Dave McLellan, who'd taken over from Duntov in 1975. In a departure from the fiberglass panels of its forebearers, the C4's rear bumpers and panels were made from molding plastics, a sheet molding compound. The C4 fastback coupe was the first general production Corvette to have a glass hatchback for better storage access. The Corvette C4 came standard with an electronic dashboard with a digital liquid crystal display dash, with graphics for speed and RPM and digital displays for other important engine functions. This red Corvette is equipped with a Targa top, air conditioning, power locks & windows, cruise control and a tilt steering wheel. Youâ€™ll sit comfortably in the red leather power seats with lumbar support, and have the fun of driving the 350 V8 with its 6-speed manual transmission. 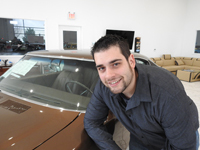 Youâ€™re bound to turn a lot of heads when youâ€™re cruising in this awesome car! 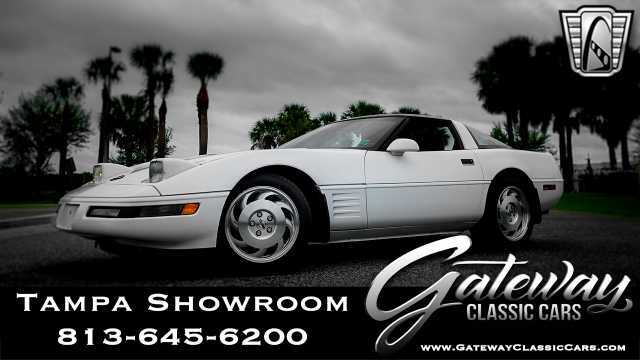 This beautiful 1992 Corvette is for sale in our Milwaukee Showroom and can be seen at www.GatewayClassicCars.com, or call (262) 891-4253 for additional information.